Ridgefield has been a home to many leaders but few could match Henry Luce for power and influence. Luce founded and built Time Inc. into a top corporation, producing some of the most popular magazines of their era. Born in China in 1897, a son of missionary parents, Henry R. Luce was a graduate of Yale who studied at Oxford. Like so many others in the field, he began his career as a newspaper reporter, working on papers in Chicago and Baltimore. In 1923, seeing a need for a magazine that covered the week’s news with relative brevity, he co-founded Time magazine with Briton Hadden. When Hadden died a few years later, Luce was in sole control. He later started Fortune, Life, and Sports Illustrated, which became highly successful periodicals, and he was long considered the most influential magazine publisher and among the most influential people in the United States. Luce served as editor-in-chief of all of his magazines until 1964. He died three years later at the age of 68. 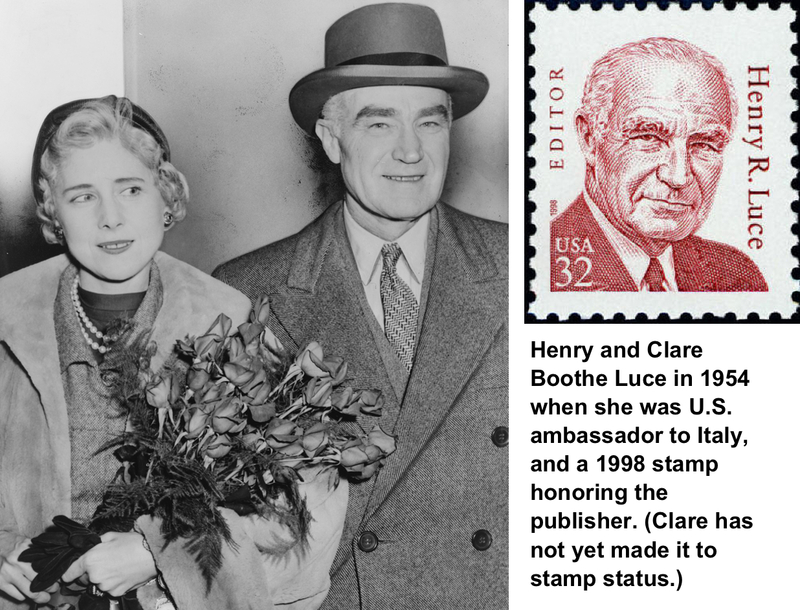 In 1936, he established the Henry Luce Foundation which, by the end of the century, had $900 million in assets used to help higher education, scholarship in American art, opportunities for women in science, and other causes. In 1946 the Luces bought the former Wadsworth R. Lewis estate, consisting of a 22-room Georgian brick house on 100 acres between Limestone and Great Hill Roads. It had been created a few years earlier by Wadsworth R. Lewis. By 1961, the Luces were living mostly in New York City — possibly because Clare was considering running for the U.S. Senate from New York (she had been a Connecticut congresswoman in the early 1940s; she wound up not running). That year, they were taken off the voting list in Ridgefield — at Henry Luce’s request. Luce did socialize occasionally in town, and was not one to mince words. At a local dinner party in the 1950s, a woman, knowing Mrs. Luce was a devout Catholic, asked him if he’d ever considered converting to Catholicism. Luce is one of several Ridgefielders to have been pictured on a U.S. postage stamp, a 32-cent issue in the Great Americans series that came out in 1998. In 1989, Time Inc. became part of the Time Warner conglomerate. In 2014, Time Warner, focusing on more “modern” forms of media, spun off its magazines to a separate company, called like the original, Time Inc. It publishes Time, Sports Illustrated, Fortune, People, Entertainment Weekly, and many other periodicals here and abroad. Time magazine’s circulation in 2016 is more than 3 million in the U.S., making it the top news magazine — a position it held during Luce’s long reign.